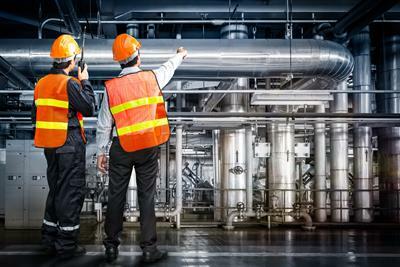 Besides identifying trends and working to prevent future incidents, relevant events need to be tracked, from notices of violation to near misses. As you track relevant documentation, evidence, and images, you also ensure releases are reported to the right agencies as needed. A comprehensive cloud software solution to help you prevent incidents and control risk through greater visibility of your incident data. By VelocityEHS based in Chicago, ILLINOIS (USA). Chemdata - the most reliable interactive database of over 43,500 substances and more than 137,000 different chemical names, including pure and trade-name chemicals. Chemdata is used by major Fire and Emergency services across the world to provide invaluable and timely advice in the event of chemical spillages, fires and contamination incidents. By NCEC (National Chemical Emergency Centre) based in Didcot, UNITED KINGDOM. TrackWise QMS enivornment, health and safety (EHS) management helps you to achieve compliance, reduce risk and track and manage processes and actions. The automated system helps you to manage incidents, audits, observations, personnel injuries, risk assessments, and corrective and preventive actions. By Alcumus Holdings Ltd based in Smeaton Close, UNITED KINGDOM. By Airsweb based in Rainhill, Prescot, UNITED KINGDOM. Manage complex compliance requirements proactively to help mitigate risk, ensure safe work environments, and reduce administrative burdens. 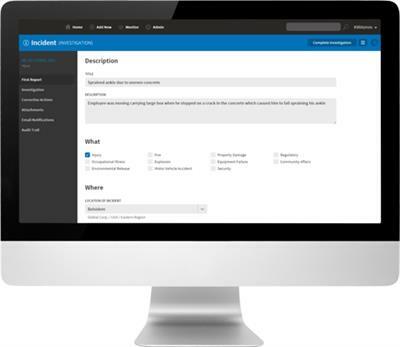 Intelex's EHS Incident Management Module is a web-based software application that takes a complete life-cycle approach to managing all of the aspects and stages associated with environmental, health, and safety incidents including; internal reporting, investigating, implementing corrective actions, and external reporting. Simplify environmental incident reporting and compliance requirements within a user-friendly system. Intelex Environmental Incidents Management software makes it easy to standardize and streamline reporting activities while exceeding environmental management requirements such as those set forth in ISO 14001.
regAction Incident Management System (webIMS®) is designed to assist in managing incidents and near misses that occur across the enterprise. Leading and lagging incident KPIs can be viewed on corporate dashboards to keep management apprised. Pro-Sapien's Environmental Management Software (EMS) enables you to capture, track and report on your Environmental data straight from SharePoint. 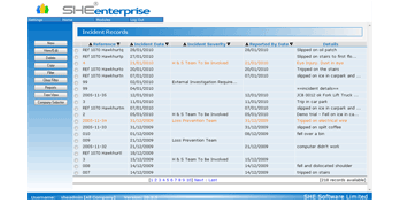 Managing incident reporting and investigation in your organization has never been easier! Intelex’s Incident Reporting Software lets you easily record, track, trend and investigate all types of incidents, near-misses and dangerous conditions.